And no, I don't say that lightly. Over the last year, my team and I have put in countless hours (ok, over 80…but not that I'm counting…) creating this glorious Ebook. 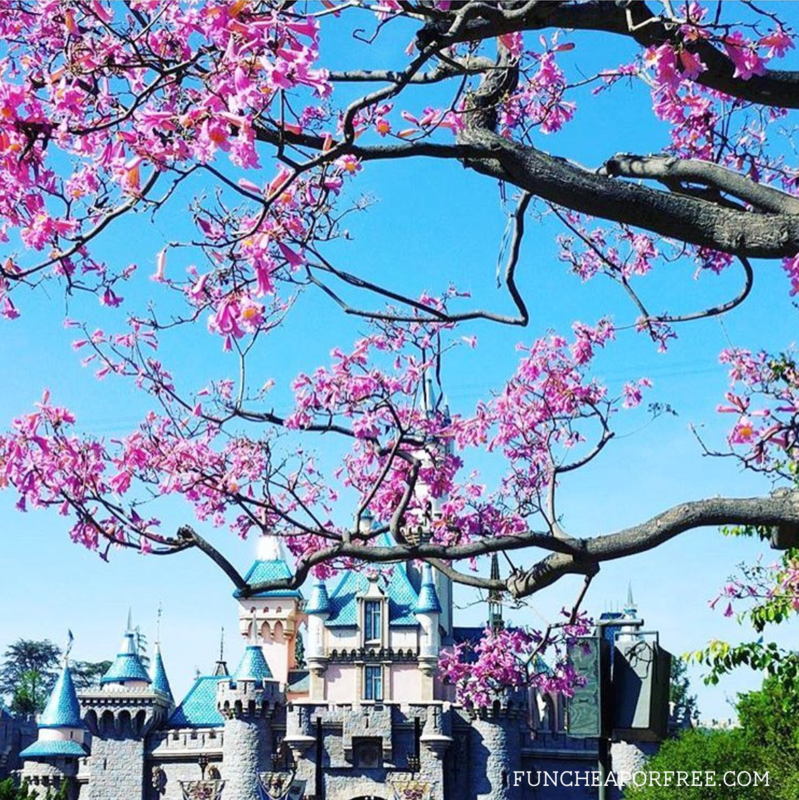 Many of you know that back in 2015 when we took our kids for the first time, I put out a 3-part Disneyland on the Cheap blog series. Since then many of you have asked for a printable or updated version, and the request for more tips, advice, and hacks have continued to pour in. Well Freebs, we heard you! Not only does this Ebook contain 57 pages of the very best of what I learned and shared in the original blog series, but it has HUNDREDS of additional and updated tips, tricks, and hacks from Disney experts, Disney cast members, you Freebs and ultimate Disney fans! The reason we are only offer the first 1,000 copies free is because Ebooks cost me money every time they are given away (dumb, right?). So I certainly want to celebrate and reward those of you who jump on the early bird bandwagon! But my budget will only allow for 1,000 free downloads. Don't worry, we will offer the book at an introductory price before bumping it up to full-price ($9.99). Whatever you end up paying for it, I promise it's worth it! This is copy/pasted from the actual Table of Contents, so we don't lie when we say this baby is robust! Car seat, or no car seat? Chapter 13: Tips from Freebs! As you can see, this isn't just another short ebook, this is a MONSTER e-book. With over 57 pages of tried and true tips, tricks, and hacks, your next trip to Disneyland will be AMAZING. You can print the book and keep it in a folder or binder, or you can simply access it on your computer or phone (recommended) so you can click on all the handy links we provide throughout the book. The Ebook is mobile-friendly so saving it to your phone is easy-peasy. However you choose to read it, we hope you enjoy it. Most importantly, we hope it allows you and your family to have the BEST time at Disneyland! Again, get your e-book for only $9.99. Now, get out there and enjoy the Happiest Place on Earth! 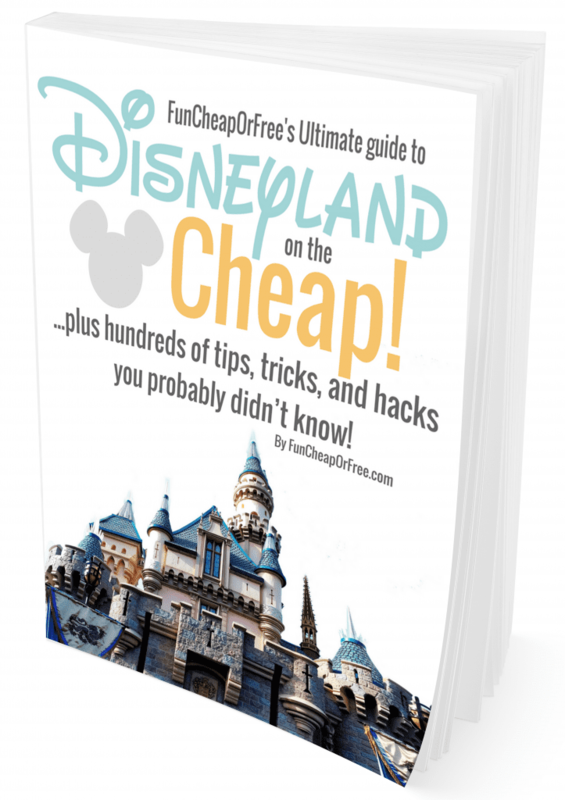 *If you have purchased the Disneyland e-book and have not found it in any folder (including spam/junk, promotional, other) please email Alisha@FunCheapOrFree.com and she will take care of you. I would love a copy! We’ve never been but want to go! Will this eBook be updated as things change over time, or should we just plan on the information being current for the next while? Thank you for making this available – such a valuable resource. We made it a live document with live links, rather than a traditional PDF E-book, so we can update in real time as-needed! So we recommend saving the link to the book as a shortcut/bookmark, rather than downloading the book, so every time you open it it’s updated! THAnk you so much for the free copy!! You and your team rock, Jordan – this looks amazing!!! Will this book work foout Disney World as well?? It’s specific to Disneyland, but many of the tips will work for Disney world as well! How long does it take for our ebook to be sent once we’ve purchased it! Anxious to get reading!! I sent my email last night when it was free but I never received an email to download. I even checked my spam folder. Does that mean it didn’t go through? I paid for the book but haven’t received it, how do I download it? I ordered my book around 10:00 pm the first night you offered them for free and I still haven’t received it. I’ve checked all my mailboxes and it doesn’t seem to be there. Can you help me? I’m having the same problem. I still haven’t received mine either. I really look forward to reading (and using) all your tips before our Disney trip this June for my husbands birthday! Love this book! Total Disney need over here and so glad to have a book with more tips and tricks. I’m sure I’ll use it even more when I have kids to take to Disneyland! We aren’t planning on bringing our kids to Disneyland for another 2 years but I got this right away so I could start planning! I’m so excited!!! I love how detailed this is!!! I love Disneyland but it can be so expensive 😩. Thank you guys for putting this together… will definitely be purchasing it before my next Disney trip. Hoping to go here one day-thanks for the tips! Planning for Disneyland is so dang overwhelming. I will have to check this out! I love this e-book! Thank you so much for sharing your tips! I’m hoping to take our daughter to Disney this November. I am so excited! Does this also apply for DisneyWorld? and for a Florida Resident Discount? I have the same question as above….. Does this also apply to DISNEY WORLD IN FLORIDA? Hey there, I’m interested in this book, but am not sure if it’s updated for 2019 passholder info. Could you let me know? Thank you! It is not updated for 2019 yet. Hi Becky, it is not updated for 2019 passholders, although we do have some experts on the team and will hopefully make a re-vamp soon!